Thomas Grabowski, MD, is the Director of the UW Alzheimer’s Disease Research Center (ADRC). He oversees a multi-disciplinary effort to further a precision medicine approach to Alzheimer's disease. This work aims to better define key steps in the pathological process and thereby identify new therapeutic targets that will help people with different variants of this disease. Dr. Grabowski is a leader in both the clinical and research efforts around neurodegenerative disease and dementia at the University of Washington. In his role as the Medical Director of the UW Memory and Brain Wellness Center and a behavioral neurologist, he leads a provider team that diagnoses, treats, and supports patients living with memory loss or dementia. He has made patient and family wellbeing into a top priority in the clinic, by helping people adjust to cognitive challenges over time and leveraging intact personal strengths. He also conducts research as the Director of the UW Integrated Brain Imaging Center (IBIC), where his group uses functional and structural brain imaging methods to understand how brain systems supporting memory and language are affected by neurodegenerative diseases. In particular, he aims to improve the potential of functional brain imaging to diagnose and monitor early Alzheimer's, Parkinson's, and frontotemporal spectrum diseases. 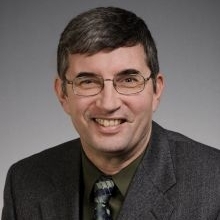 He currently leads the Therapeutic Pipeline Project's Dynamic Functional Connectivity MRI in Preclinical AD, along with Tara Madhyastha, PhD., to evaluate the potential of MRI and PET scans to serve as a tool of diagnosis or to track disease progression.